Over the years in our travels, we’ve stopped at recreated villages and historic towns in the old west from Goldfield and Tortilla Flat in Arizona to Deadwood, South Dakota and Cheyenne, Wyoming. 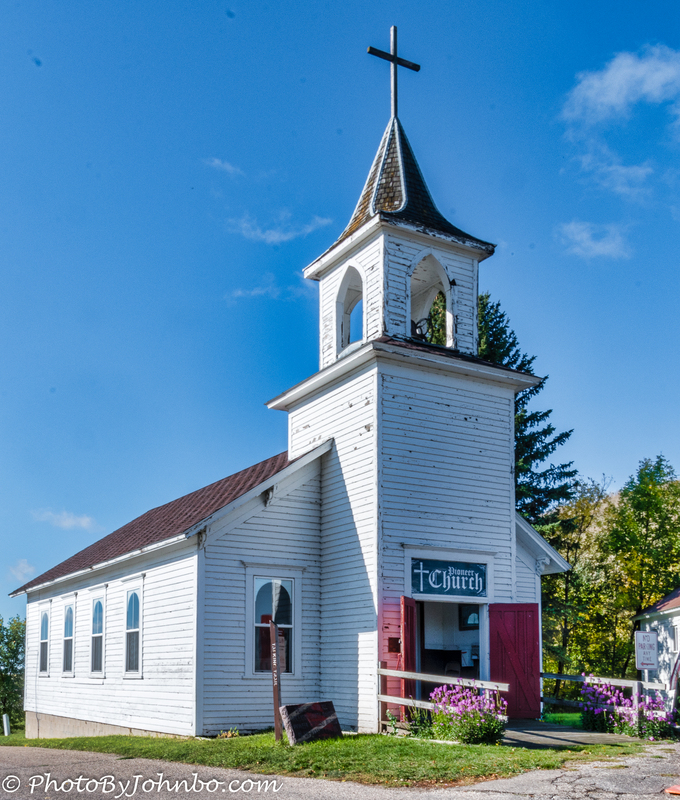 North Dakota has a collection of villages that are great historic stops along the I-94 corridor. Bonanzaville in West Fargo focuses on the Bonanza farmers and homesteaders in the Red River Valley. Buckstop Junction in Bismarck highlights homesteaders and settlers put down roots in the Missouri River valley. Not to be left out, the largest community between Fargo and Bismarck has its own historic village. 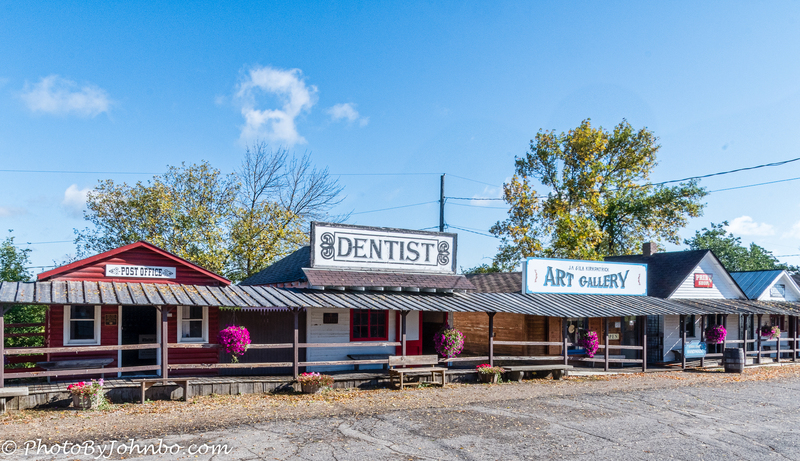 If you stopped by Jamestown’s worlds largest buffalo, you couldn’t miss the Frontier Village, you drove through it to the giant buffalo’s parking area. The opening image shows but a few of the many buildings in the village. Getting to the museum is easy. Exit northbound on Highway 281 from I-94 onto 17th St SW, then follow the road which becomes Louis L’Amour Lane, the main street of Frontier Village. There are several parking areas to choose from. When we first visited the monument to the buffalo, our children were young and we don’t remember the village being there. I asked one of the shopkeepers who said they started moving historic buildings into the roadside area in the 1970s. I won’t disagree with the shopkeeper, but we only moved to North Dakota in 1978 so our first visit there must have been in the 1980s, I’d guess. I suspect there were a few buildings in place that we didn’t really associate with a museum-grade village at that time. 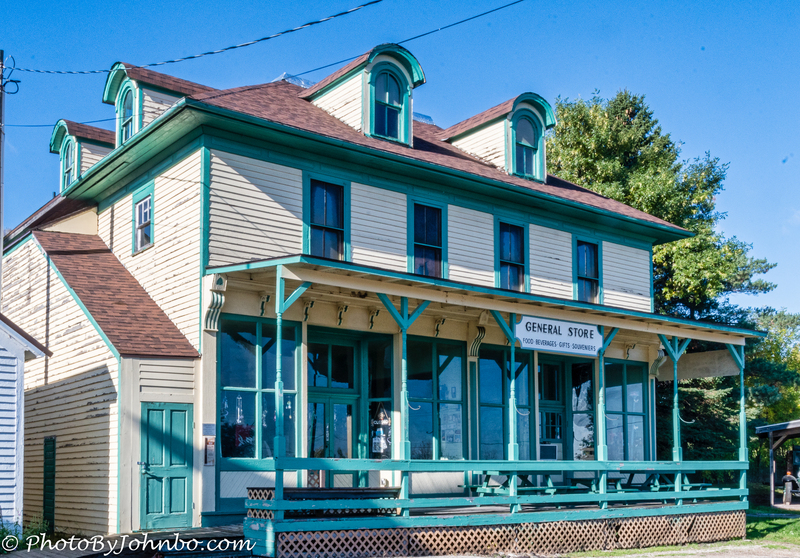 Indeed, on the Discover Jamestown webpage here, it’s noted that the railroad depot was placed in the village in 1965. Most of the buildings are open to walk inside where there are artifacts that belong in the space. The jail cell in the image above is in the Sheriff’s Office. 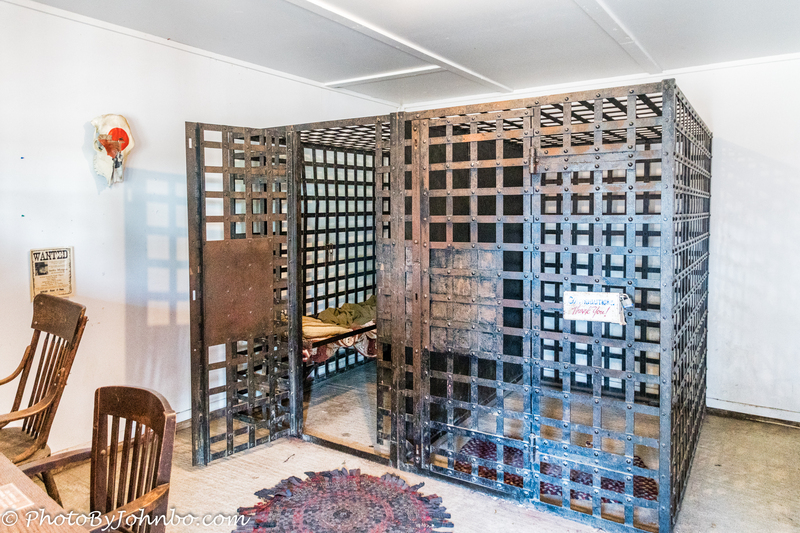 If I had any disappointment in the displays, many of the inside views are similar to the firehouse shown above where chain link fencing or other impediments disturb the view of the artifacts. I certainly understand the need for insuring that exhibits don’t get “manhandled” by attendees. Many similar places use plexiglass or real glass instead of fencing. Other villages are more lenient using simple railings or even trusting people to not disturb the exhibits. Having said this, it is a minor quibble and shouldn’t discourage anyone from checking out the artifacts in each of the buildings. In researching for this article, I happened across an article in the Jamestown Sun, the local newspaper. In 2016, an expert on museums and historic sites visited with the Frontier Village Association members as they volunteer consultant. He noted that the village is a very special place and encouraged the members to continue with their free admission and free will donation system. As you enter or leave town, drop a few bucks in the donation kitty to help them with their work in keeping the historic village a great place to visit. As we were early morning visitors, even the General Store wasn’t yet open. It’s actually a gift and souvenir shop that helps support the goals of the association. As you might imagine, summers find the most visitors and the most activities at the village. 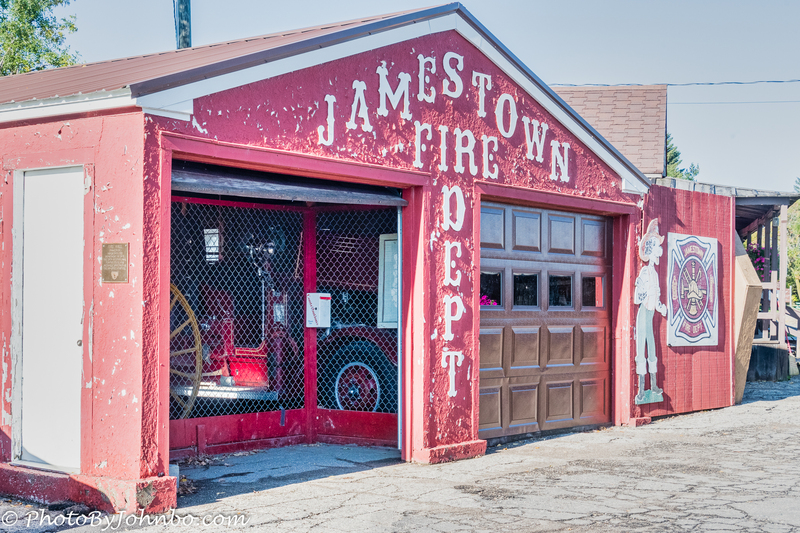 From programs in the amphitheater to the First Annual Ribfest held in July this year, From that staple of old west towns, staged gunfights to bake sale fundraisers, you can find out what’s going on during your visit by checking out the Frontier Village of Jamestown ND Facebook page. Because of our early morning visit, we had to skip the visit to the National Buffalo Museum, on the grounds of the park next to the live buffalo herd summer pasture featured in last week’s post. Next time through town, we’ll consider stopping when the museum is open. I submit for your viewing pleasure a gallery of images captured as we sauntered through the village. In most browsers, you can click on an image to enlarge it and to scroll through the gallery. Next week, we look at one very special building dedicated to Jamestown’s favorite son and prolific author of western novels, Louis L’Amour. His writer’s shack is prominently featured in the village. Looks like my kind of town! If it’s any better – I just may have to move up there!